When I was young, I was taken to see the film A League of Their Own. I still remember the excitement of watching the women’s baseball teams go head-to-head, and the rush of leaving the theater, knowing I wanted to make movies and re-create that experience for others. It took a lot of years – and a lot of movies – to find that same balance of blockbuster and pure entertainment factor in films I was watching. One day, a co-worker (at my then-job on the metal show Uranium) suggested that I check out the film Ong-Bak. I had no idea I’d be in for one of the most kickass action films I’d ever seen. I was reminded of why I got into movies to begin with – to make entertaining films that engage the viewer so much, they can’t help but leave the theater energized and excited. I remembered the first time I felt that way, watching A League of Their Own, and was reminded of the importance of telling stories that incorporate minorities and women, who so often don’t get our stories told. Other films and TV shows that have influenced me since include The Long Kiss Goodnight, District B13, Damages, and Banshee. Any time there’s great action, crime drama, and fun characters, I’m there. As an action fan who’s also passionate about diversity, it sometimes feels like we’re the black sheep of the film world; we don’t get the same sort of attention that genre-lovers in horror and comedy do, even when we show up opening weekend to Salt, popcorn in hand, ready to be blown away by some high-energy stunts. But – that doesn’t make us action fans any less passionate or devoted to our genre of choice. I’ve long been a proponent of equality in the film landscape; while my first favorite being an almost-entirely female cast influenced me towards finding ways to showcase diversity in my own work, my prime goal has always been: be entertaining – and incorporate under-represented cast and crew members, because inclusivity matters, and will keep the story fresh and engaging. As an award-winning screenwriter, I’ve also found that incorporating diversity into my projects makes them more engaging on the page. 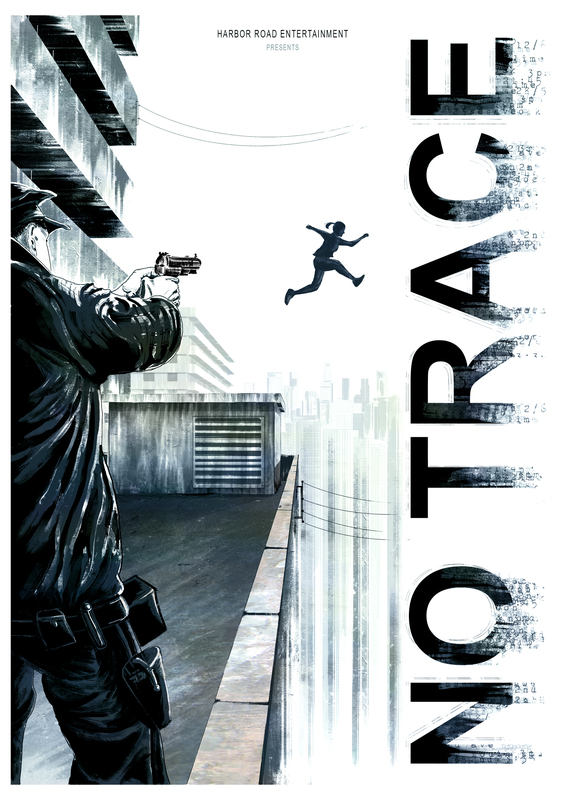 To that end, I recently decided to direct a new project, starring Heroes’ James Kyson and Grey’s Anatomy’s Pia Shah, called No Trace. My film follows an undercover cop who robs a bank for the mob, only to find herself on the run from her former partners. There’s a killer fight scene, some great dialogue, and a surprise ending that you won’t see coming. As a lesbian female filmmaker, the biggest barrier to success in Hollywood is always financing. I’ve put together a killer team, including Oscar winner James Parris on VFX, with Derek Bauer on camera and Natalie Nicole Gilbert on music. Our team started a crowdfunding page at gofundme.com/MirandaDirects to help achieve our goal of making this film a reality. We were thrilled to make our first goal, and are now approaching our stretch goals with the same drive and determination we’re putting towards producing this film. We hope you’ll be a part of it, and support female filmmakers and diversity in the independent action realm.